This is part of a new strategic marketing plan by the Squadron Association and has been compiled with the help of new partners representing the best in the field, and constructed with a renowned Warwick based web designer company called edge of the web. 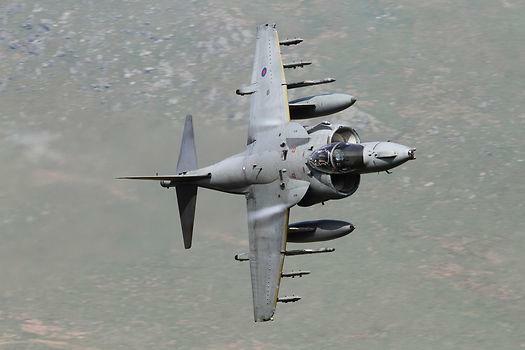 Within the site is some stunning photography featuring the Harrier "jump jet" and provided by some of the UK’s leading professional aviation photographers. The site includes a detailed history of the squadron’s past. 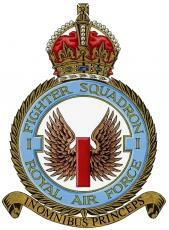 Over the years the Squadron fought dog fights with the Red Baron and in the Battle of Britain, participated in the D-day landings and in Operation Market Garden (“a bridge too far”), shot down doodlebugs, helped pioneer the jet age and played a vital role in the Falklands, Kosovo, Iraq and Afghanistan conflicts. Darin Tudor, the newly appointed Honorary Marketing Manager for Number 1 (Fighter) Squadron Association, comments: "My role within the Association is to reach out and attract personnel of all ranks who have served with Number 1 (Fighter) Squadron to join us, become involved and to re-establish and maintain friendly contact. There will also be the potential to stimulate business relationships with their fellow members. It's my aim to positively promote the Association in partnership with as many organisations and businesses as possible who can add genuine value in its development and aims. The website is the basis for my strategic marketing plan and is thus of vital importance to the re-launched Association. I've been supported by ex-Squadron members and various commercial colleagues and the result is a professional website that the Association can be proud of. I encourage anyone who has served on or is interested in No 1 (Fighter) Squadron, or the many types of aircraft is has operated, to visit the site and you will not be disappointed". Number 1 in history: 100 years in the making, the oldest military air squadron in the world, Number 1 in innovation: At the heart of the most Iconic, cutting edge fighter aircraft in the world.